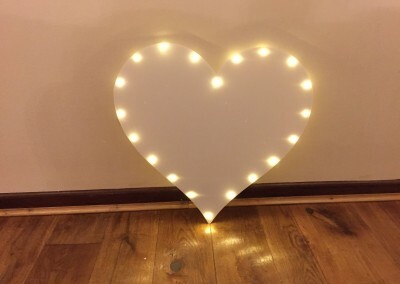 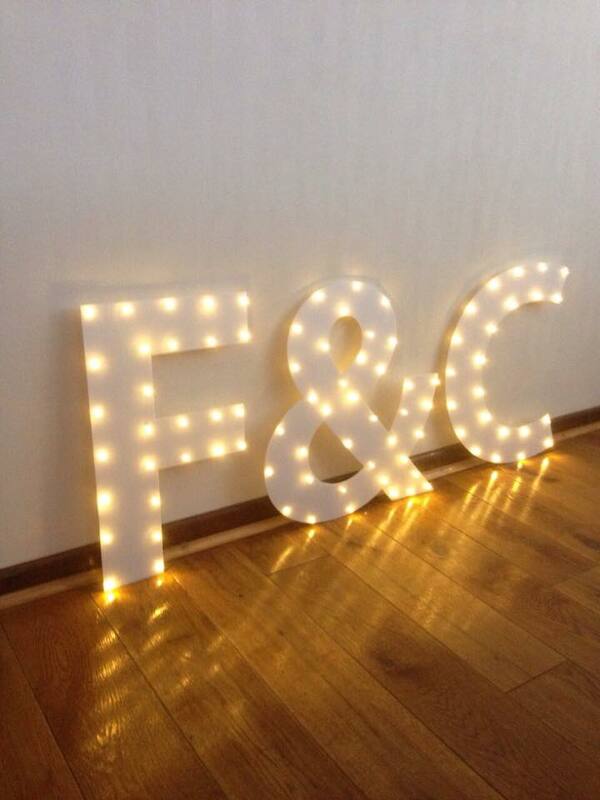 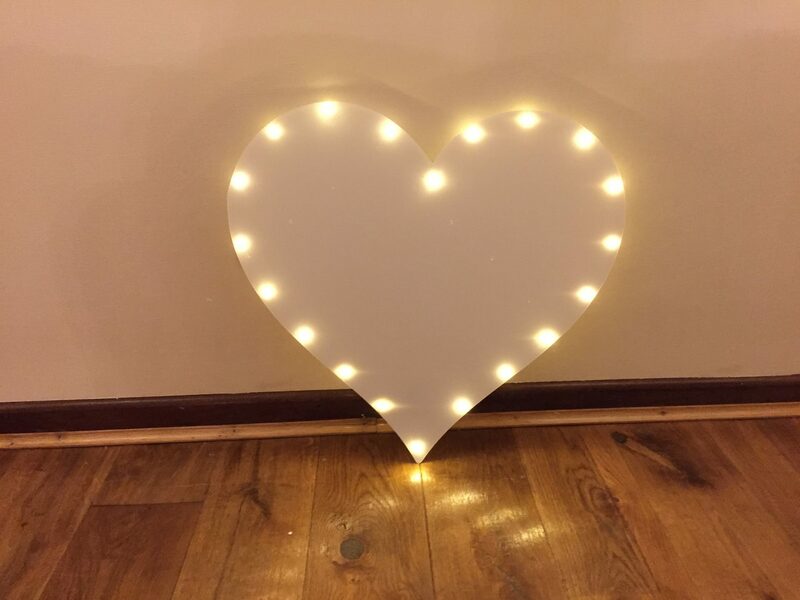 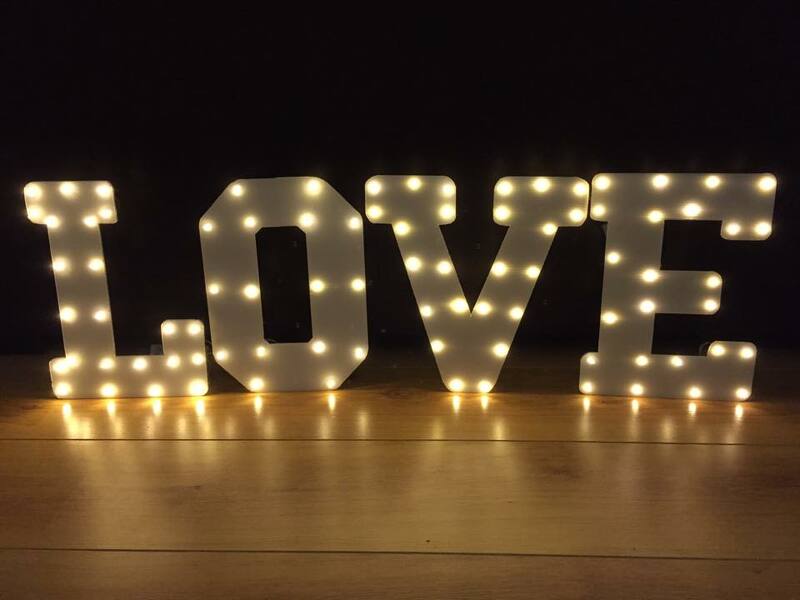 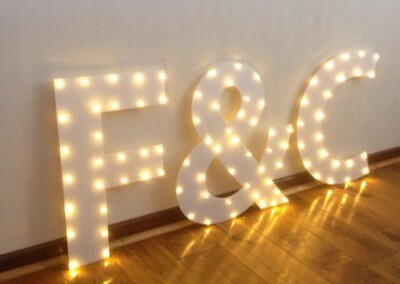 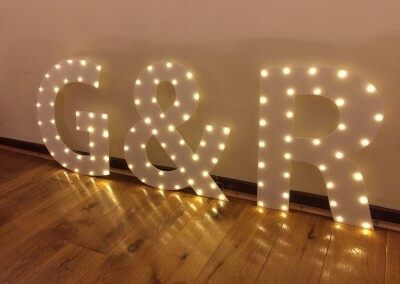 If you are looking for something unique for your wedding decorations then why not have a look at our gorgeous light up wedding initials and letters. 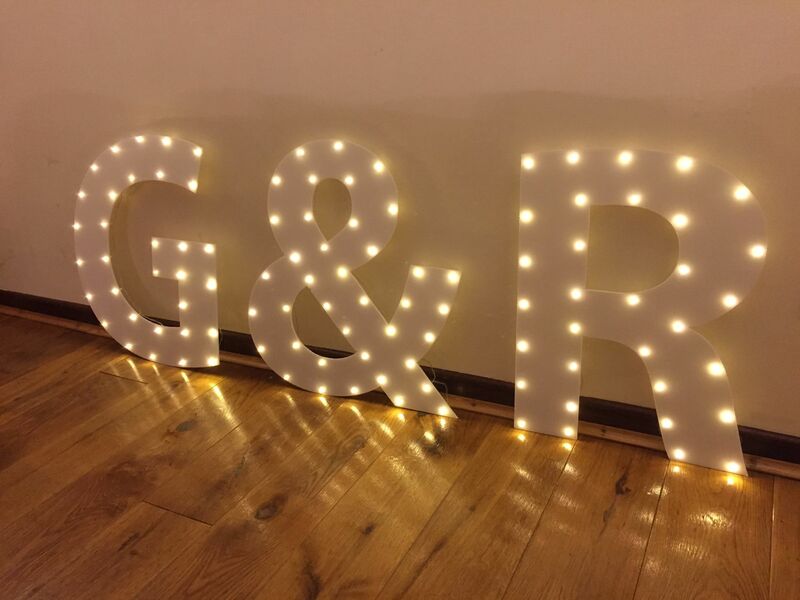 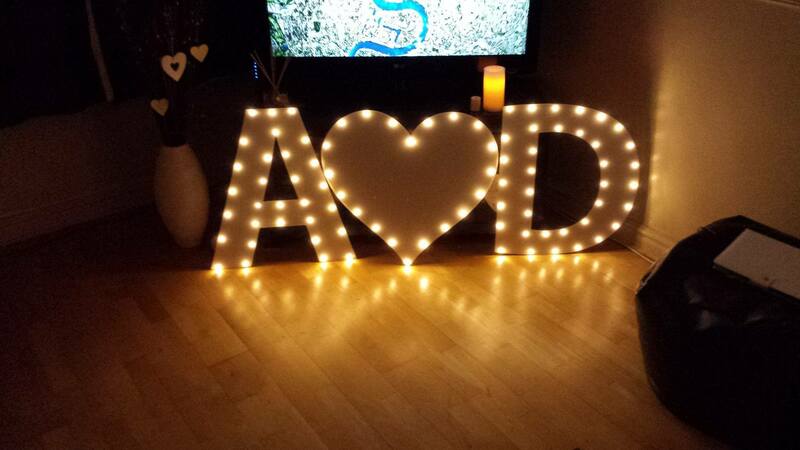 We offer a few different packages which include having stand alone light up wedding initials, your initials with ampersand in the middle or you could hire our light up love illuminated letters. 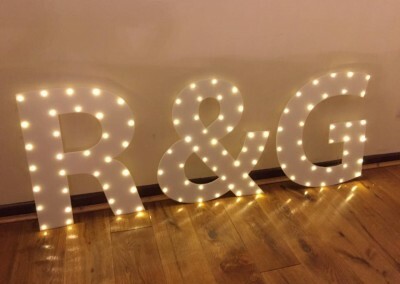 The standard letters are 60cm tall and the LED lights are powered by battery so no need for mains power which means you can use the outside without any issues. 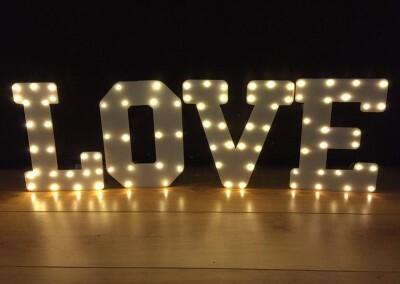 Size – The size of the letters are 60cm (600mm) tall. 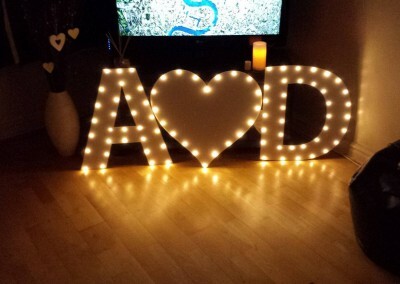 Power – Each letter/shape requires 3 x AA batteries.